Believe it or not, we are experts in junk removal! It takes more than a truck and team to provide safe and efficient services. 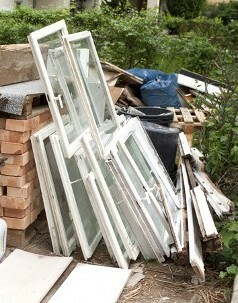 Our team is highly trained at removing bulk trash and ensuring your property is undamaged in the process. You’ll never receive “junky” services when you depend on us. In fact, we are professional, courteous, and always eager to ensure your 100% satisfaction. You point and will pick it up. It’s that easy. Whether the junk is on your lawn, in your attic, or tucked away in a hard-to-reach location, we’ll get it for you. We have the equipment, trucks, and skills necessary to remove your junk safely and quickly. We even provide same-day services. 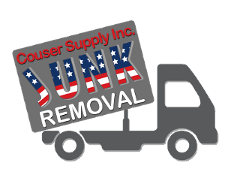 Simply call us, and we’ll offer a free estimate for junk removal. You’ll find that we have the lowest prices around, yet the best services. After you schedule a day for our junk hauling service, we’ll arrive at your home or business at the agreed-upon time. Then, we’ll clear away the clutter, leaving you with a clean area. The labor, transportation, and disposal costs are all included with our price. Outstanding customer service, same-day pickup, affordable prices: What more can you ask for? At our family-owned-and-operated junk removal company, we pride ourselves on the quality service we provide. From picking up one piece of furniture to removing a mountain of junk, we do it all. Best of all, we are friendly team that caters to your needs.